EMU Swamp Dam and vegan 'terrorists' were hot topics earlier today when Tony Perrett MP swung by the Granite Belt. 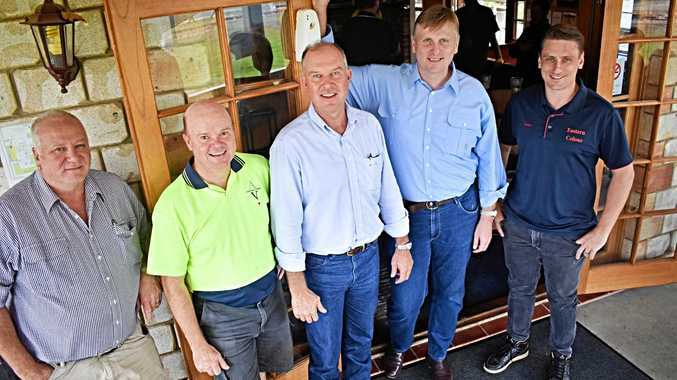 The Queensland Shadow Minister for Agriculture was in town this morning where he had a tour of the proposed Emu Swamp Dam site, before meeting with local producers at the Ballandean Tavern. Mr Perrett pulled no punches when discussing his portfolio counterpart, Mark Furner, as well as the Palaszczuk government's response in the wake of vegan activism earlier in the week. "I raised this issue specifically back in the parliament in February. As an opposition we've been calling on this since early January. I called on Minister Furner to strengthen the laws and he just ignored that speech. "I basically gave up on him because he simply doesn't understand. He claims he does but he doesn't. "I then asked the question last week, this was Thursday, of the Premier (Annastacia Palaszczuk), as to what she was going to do and she basically said we'll take a look at it. He said the laws aren't strong enough to deter activists from copping a fine and wearing it as a "badge of honour”. "What there needs to be is clear and decisive change to the legislation in the state. We need them arrested, we need them charged and where necessary jailed. 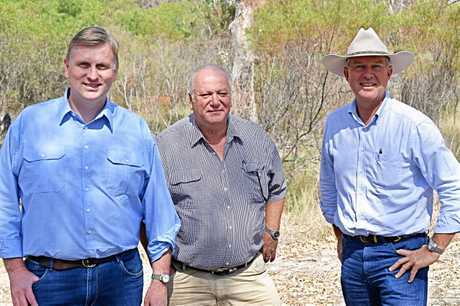 "These people have no respect for these decent, honest, hard working Queensland farming families. Mr Perrett also took the opportunity to call on the state government to come to the table on Emu Swamp Dam. "The producers here are suffering. It's concerning the level of costs that they're going through to cart water to keep turnover in their businesses. He said Deputy Premier Jackie Trad is a thorn in the side of the dam project. "That is the stark reality of what we face in this state. It's a great project (Emu Swamp), I 100 per cent support it, everything's been done that needs to be done. "The federal government is on board, the growers are on board... all it requires is Minister Lynham (Natural Resources, Mines and Energy) and the Deputy Premier to stump up. "Any delay in that process is just political bastardry at its worst. "They need to get here, observe it for themselves and get behind the project,” Mr Perrett said.